Lighting goes a long way towards making a room feel inviting. When it comes to decorating, lighting plays a major role in setting the stage. Not only does it add to the design, it can add to your bottom line. From light fixtures to bulbs, recessed lighting and dimmers, there is a lot to consider when planning the look and function of your home. Find out why and learn some of the best ways to achieve lighting success at your property. Adding value is typically the goal of any homeowner. According to HGTV, one of the best ways to do that is to pop in some recessed lighting to create a crisp, clean look. Rooms that are well-lit come across as more inviting and clean. Have you ever entered a dark room and tried to turn on the light but it didn’t work? And then, on top of that the curtains were drawn making the room feel like a dungeon? That won’t give you the warm and fuzzies, although it might make you feel the creepy crawlies! Another quick fix to modernize and brighten the lighting in your home is to swap out florescent bulbs for LED lighting (LED stands for light emitting diode). Money Crashers adds that not only is this a cost-effective swap, it shouldn’t cost more than a couple of hundred dollars if a new fixture and electrician is needed. LED bulbs are energy efficient too. Consumer Affairs points out that 90% of the energy in an incandescent bulb is converted to heat and only 10% to light. LED’s also last about 12 times longer (or on average they last for 3,125 days – roughly 8.5 years). Outdoor lighting is also a smart improvement as it enhances the curb appeal, sets the scene for entertaining, and adds an element of safety. Sensor lights can be triggered by motion, which is great for general safety and also perfect if a guest is trying to navigate their way to the front door after dark. If you like to host parties and enjoy the outdoor living spaces, you’ll want to invest in lighting that is conducive to the mood. Party lights, pool and jacuzzi lighting create a festive feel. As with anything, it is smart to not go overboard. MSN advocates that simple is best. There is always an exception to the rule. 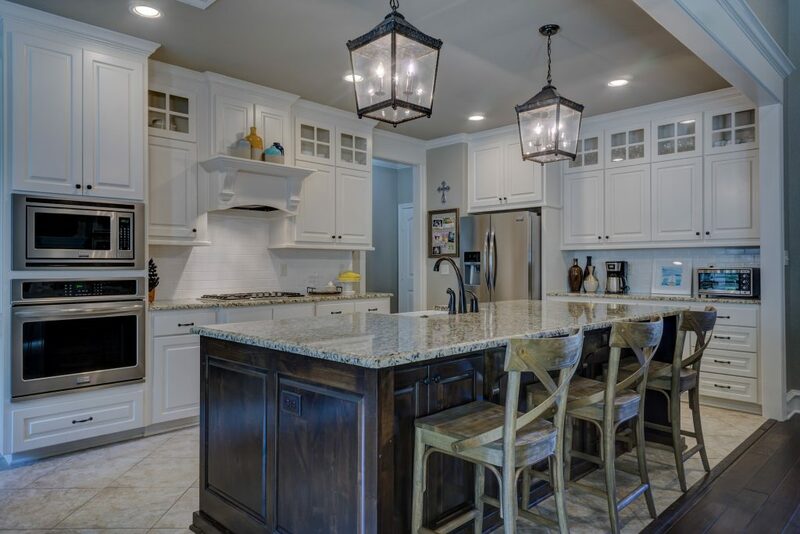 I have seen stunning light fixtures like impressive chandeliers sell a home. However, specialty lighting is not always included in the sale of a home so make sure to read the fine print and negotiate accordingly. Pieces that are too trendy may be the talk of the town for now but may quickly look dated and lose their appeal and value. Finally, lighting can quite literally set the mood. Blue light, which can be emitted from energy efficient bulbs, was found by a Harvard study to impact the circadian rhythms of people at night. Dimmer lights or red lights were found to be better for the brain. Incorporating dimmers throughout your house may be more health-wise and also can set a mood. Don’t underestimate the power of lighting and make sure to stylishly and effectively set the tone for your home – buyers might just pick up on that feel good light energy too! Holly Schwartz McDonald is a Realtor with Villa Real Estate who lives in Newport Beach and has been featured on HGTV’s hit show “House Hunters.” She can be reach at HSchwartz@VillaRealEstate.com.